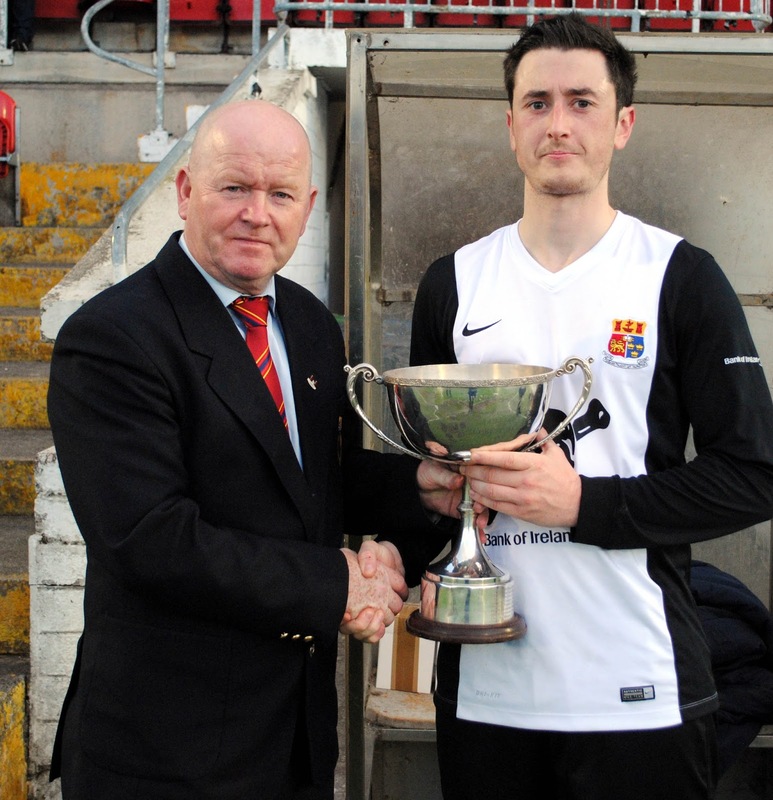 UCC A's Captain - Conor O'Reilly is presented with the Corinthian's Cup by Denis Crowley (Cork AUL) following their 2-1 defeat of Lakewood at the Cross on Tuesday night. 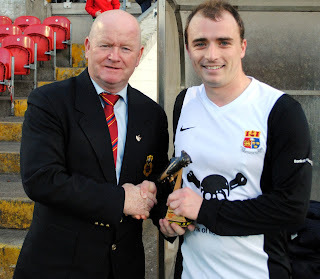 UCC A's Jordon Philpott is presented with the man of the match award following his side's 2-1 defeat of Lakewood in the Corinthian's Cup at the Cross on Tuesday night. 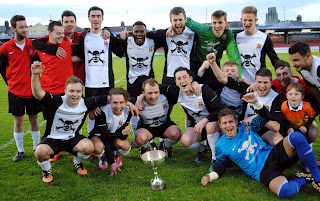 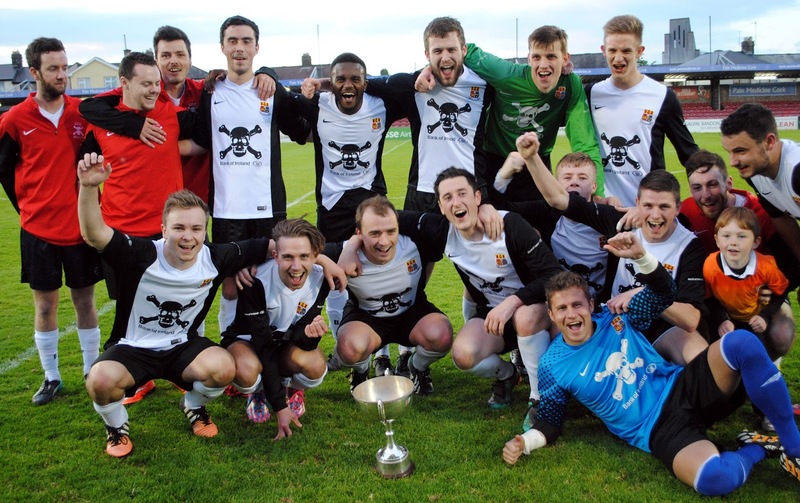 UCC A players celebrated after being presented with the Corinthian's Cup following their 2-1 defeat of Lakewood at the Cross on Tuesday night.